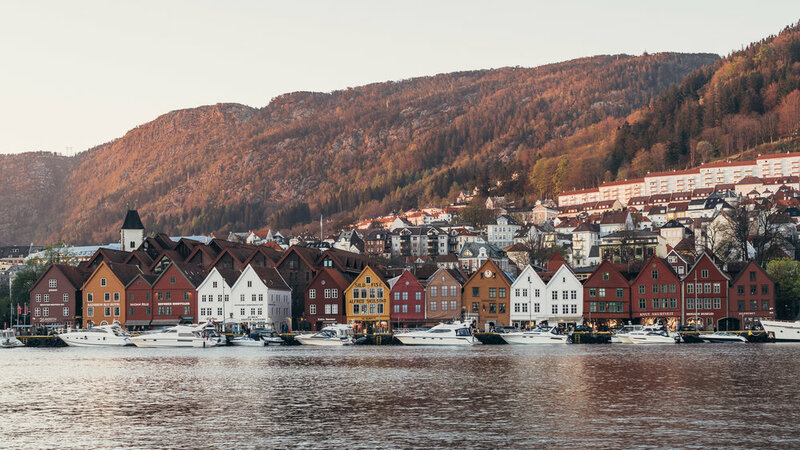 Since starting our adventure, the city of Bergen has been the first to steal our hearts. And although we’ve just started, we already know it’s always going to be a special city for us. 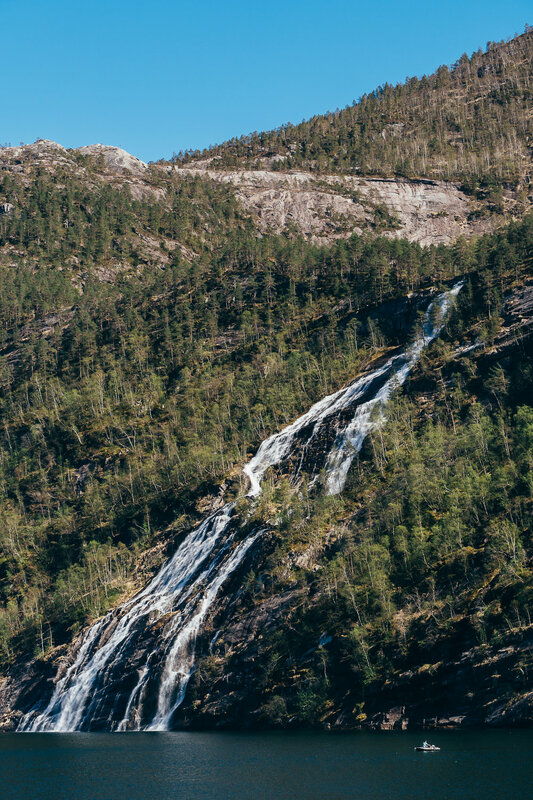 We spent 5 days in Norway’s second-largest city and were left enchanted by it. 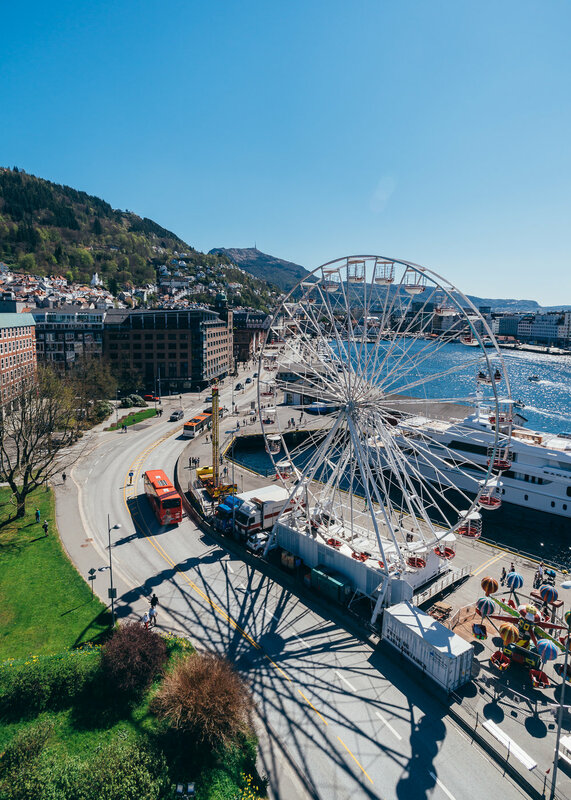 One of Bergen’s biggest strengths is the size of the city: it’s easily walkable and yet at the same time, you can count on a fantastic public transportation system that gives you a variety of options when you want to get around. And then there’s the weather. 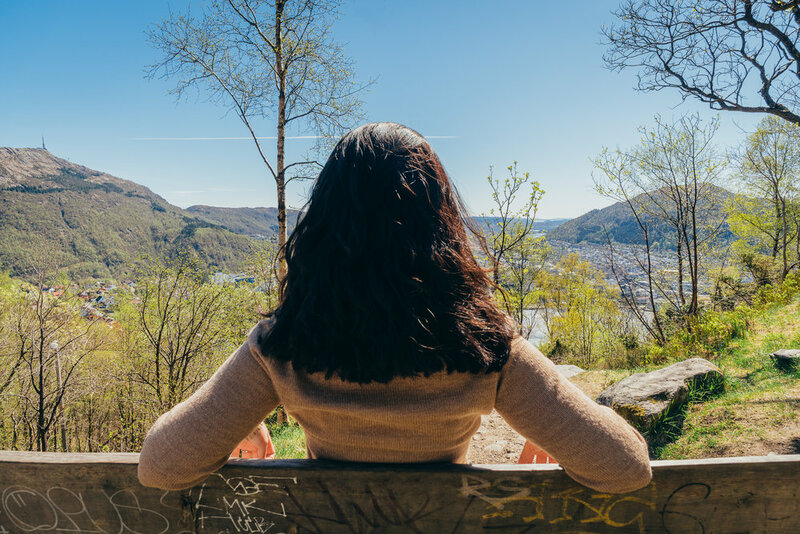 Bergen is known for being a rainy city – but don’t let this discourage you! Even if the rainy weather does catch you (as it did us on our last day), come prepared for it and you’ll find yourself enjoying this paradise, rain or shine. We stayed at the brand-new Bergen Børs Hotel, which is just in front of Bergen’s port and Tourist Information Center. The hotel was in the heart of the city and the facilities and personnel working there were outstanding. It’s the best hotel we’ve had the pleasure of staying at thus far. You can expect to pay about 1600 NOK per night. 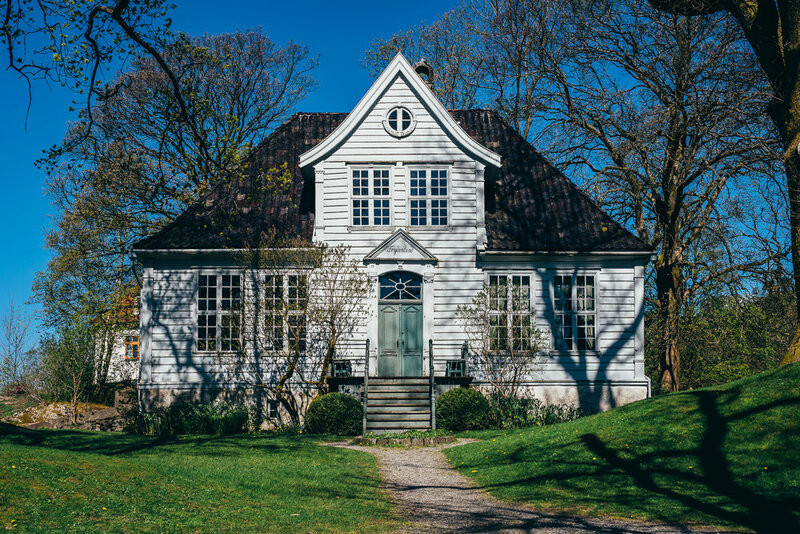 If you’re on a budget, try to find hotels within your price range or opt for hostels in the area, which at the time of writing start at 220 NOK per person per night, or a private Airbnb room, which starts at around 600 NOK. How do you get to Bergen? 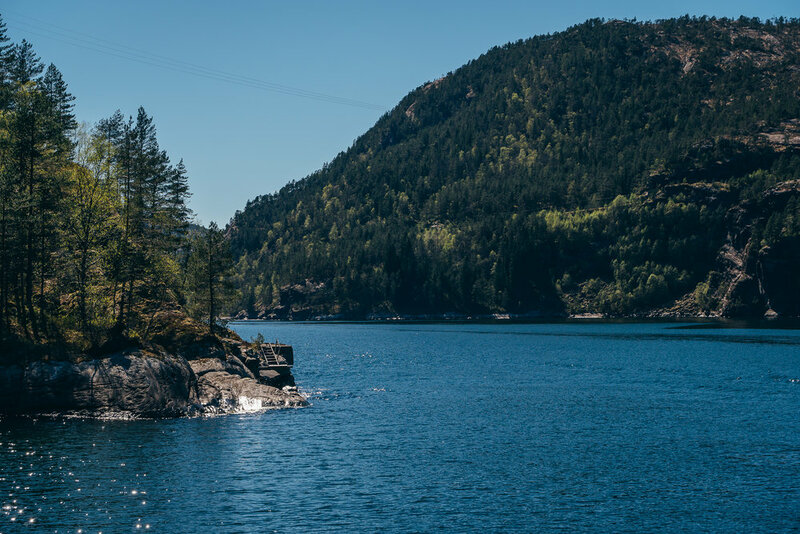 As we mentioned in our Oslo blog post, the best way to get to Bergen within the country is to take a train with NSB (Norwegian State Railways). 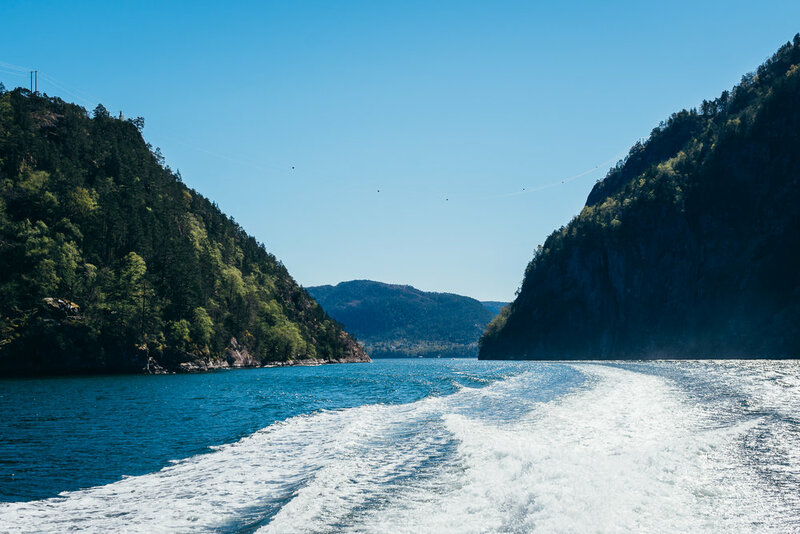 If you’re coming from Oslo like we did, you will enjoy a visually-stunning trip that includes landscapes full of mountains, lakes and rivers. We definitely recommend taking at least one of your trips during the day – it is 100% worth it! If you’re coming from another country, your best option is to fly into the Bergen Airport. They work with low-cost companies and provide tickets at really competitive prices for international flights. We personally flew Norwegian Airlines and we absolutely recommend it! What is the best way to visit all the attractions? Get yourself a Bergen Card! Discounts on Bergen-based entertainment, activities, food, and drinks. They also offer discounts in certain shops within the Bryggen area. You can purchase the card online, in Bergen at the Tourist Information Center, or at other places within the city. For more information, check out the official Visit Bergen website. 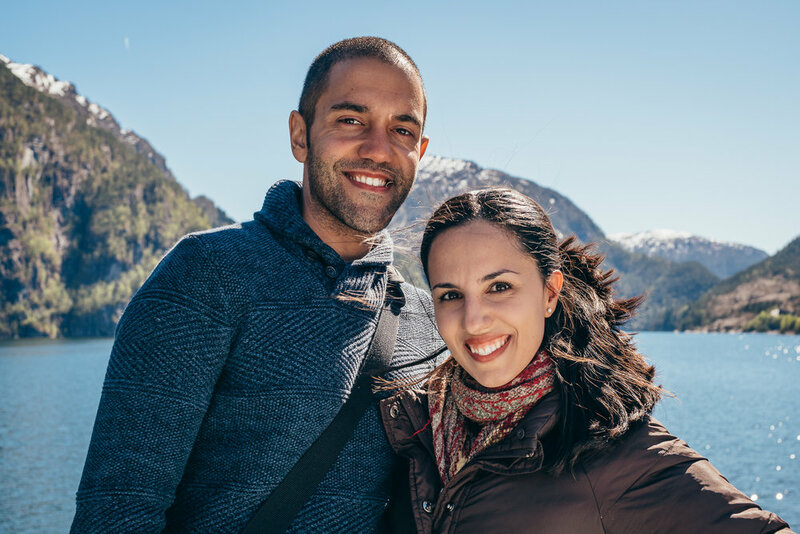 This tour is perfect for anyone who wants an introduction to the majestic fjords that Norway has to offer. The cruise is a half-day excursion that lasts 3 hours. 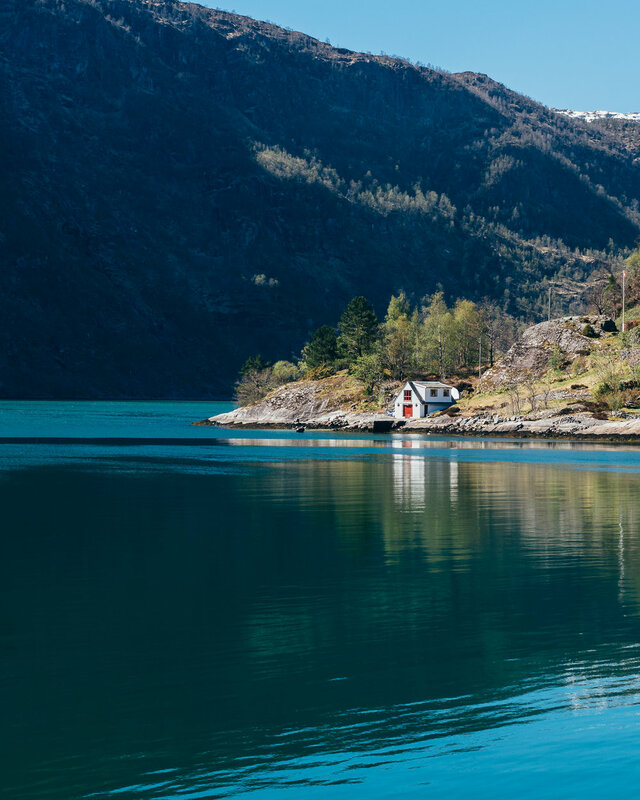 It will take you through the Fjord and to the end of the strait, where you’ll see isolated, traditional Norwegian homes, a variety of waterfalls crashing into the sea, and calm waters that will almost certainly reflect back whatever is peacefully resting on its surfaces. Whether you choose to sit inside the boat or outside on the ship’s upper deck, you’ll find yourself amazed. 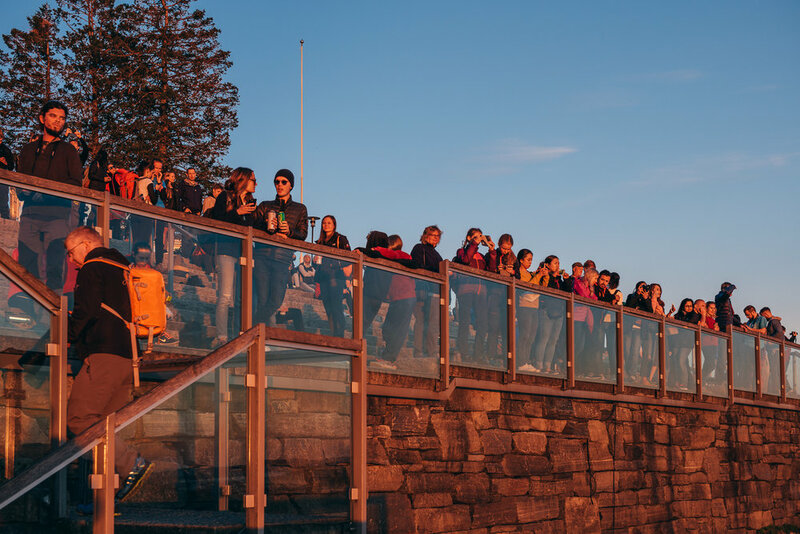 This is easily one of the most popular attractions in the city, and is typically filled with tourists and locals alike when the sun comes down. 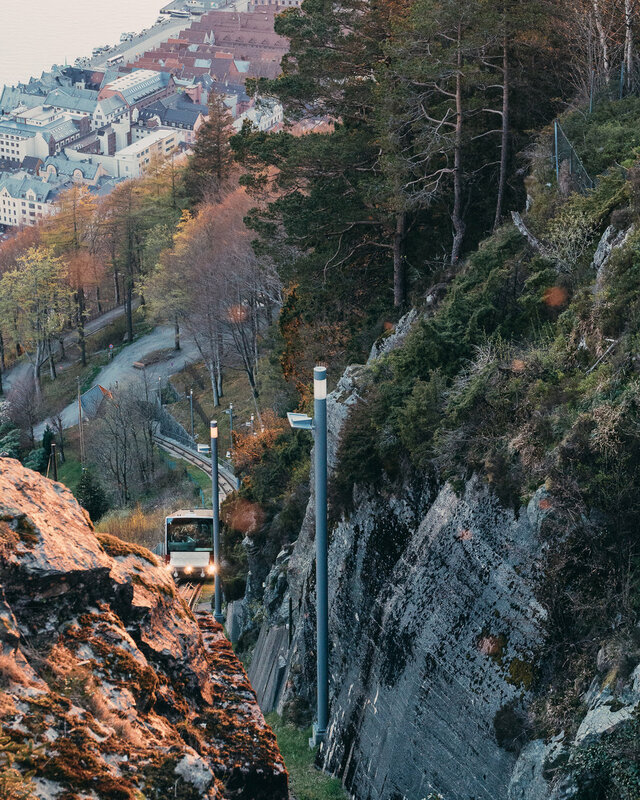 You take the funicular a few minutes from the port (walking), and it only takes a few minutes to get to the top of Mount Fløyen. Once you’re there, you have a few options. You can admire the landscape from the observatory platform they have built. Or, you can visit the restaurant and enjoy the views from inside or on the deck outside, eating a meal or drinking a beer or coffee. Yet another really great option is to continue walking up towards the serene lake Skomakerdiket, for which there are plenty of signs to point the way. 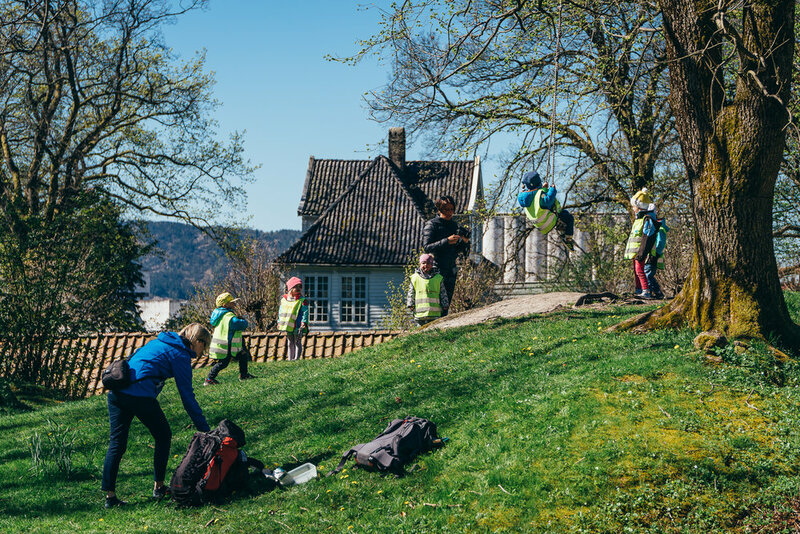 One last option we recommend is to just walk all the way up to Mount Fløyen – there’s an entire route designated for those who want to walk/trek/bike up to the mountain. And, we can recommend it because we saw other people trekking up as we made our way down the route (we used the Floibanen to get up there). It only took us about 45 minutes to trek down to the city, all the while being surrounded by nature and stunning views of the city at all elevations. If you have an hour or two while the sun is up, make sure to do this! Bryggen, listed by UNESCO as World Cultural Heritage in 1979, is possibly the most recognized part of Bergen. Bryggen was used for the Hanseatic league for almost 4 centuries (from the 14th to the 18th), and after the enormous fire of 1702, it had to be rebuilt. Today, this array of wooden structures is a unique stamp of the city, photographed by millions every year. You can find this museum at the end of Bryggen. You’ll discover the origins of the city and how it expanded through the years despite the various fires, as well as see various items (tools, clothes, etc.) that belonged to the men and women of past centuries. I’ve said it before, but I always recommend visiting a foreign city’s museum to understand the city better, and this one in particular is great. The museum is located in one of the wooden buildings that makes up Bryggen. It’s a three-floor museum that’s a replica of how the German merchants lived in Bergen between the 14th and 18th century. The bottom of the museum has the chronological Hanseatic history, while the two floors above that recreate how the house looked when the merchants lived there. You get to peer into their offices, multiple/common bedrooms, the sigils they used through the years, paintings and art, etc. 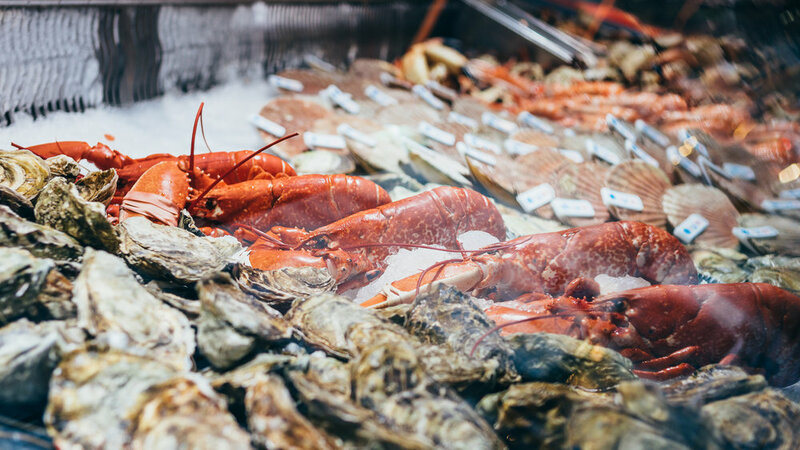 During the high season, they offer a shuttle that takes you to two more museums also included when you pay for the Hanseatic Museum: the Schøtstuene and the Norwegian Fisheries Museum. 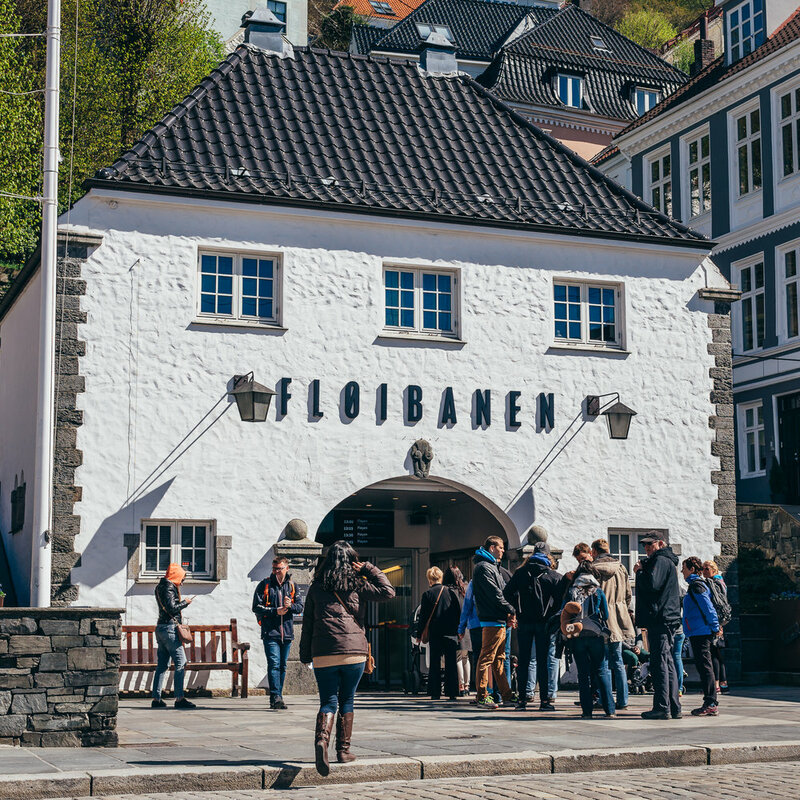 This open-air museum was one of our favorite attractions in Bergen. The museum demonstrates what the old town of Bergen was like, with wooden houses from the 18th, 19th, and 20th century. The best part is that you can actually go into most of these houses, all of which are furnished with things appropriate to that period. Some of the houses include the baker’s house, the dentist’s house, and the ropemaker’s house (i.e. the toy and doll house). In addition to this, the museum has a park that’s reminiscent of that time too, with a small hill overlooking the sea and the surrounding city. The Fortress, built in the 13th century, has been expanded several times, just like the city of Bergen. 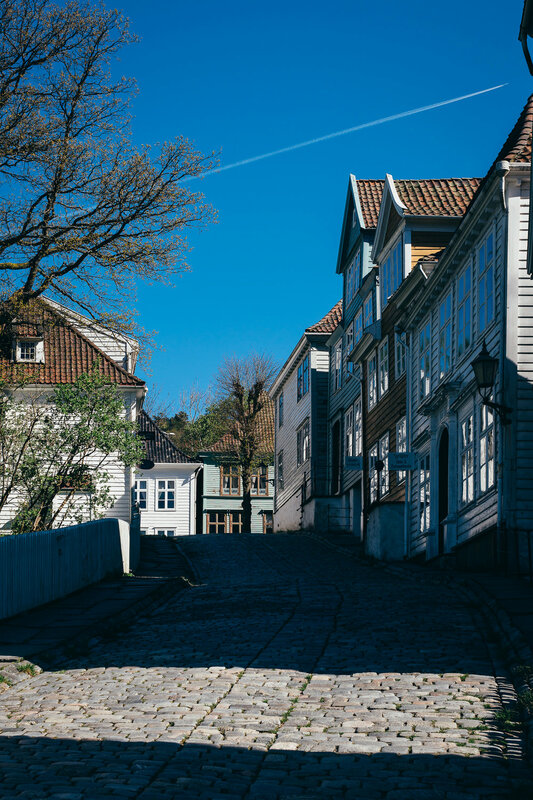 At the beginning, it was used as a defense mechanism for Bergen, whereas its current-day use is for their military and administration, aside from being a destination for tourists and locals to visit. In the middle of the fortress, you’ll find the Rosenkrantz Tower, which is open to the public during high season, and only on Sundays the rest of the year. Through this tower, you’ll be able to climb to the top through its spiral stairs and take in Bergen from this unique vantage point. Bergen is surrounded by seven mountains, and Ulriken is the highest one. We had locals tell us that you “haven’t seen Bergen until you visit Ulriken,” and well, we’re glad that we were able to go on our last day there. To get there, you have to get on a bus next to the Tourist Information Center that takes you to the bottom of Ulriken, where you then ride a cable car for about 5 minutes, ultimately dropping you off at the top. The views during the climb and at the top are bound to leave you speechless – they’re humbling. Although it was foggy (and eventually snowing) on the day that we went, the view was just as beautiful as any we’d seen yet in Bergen. If you can’t already tell, we loved it! 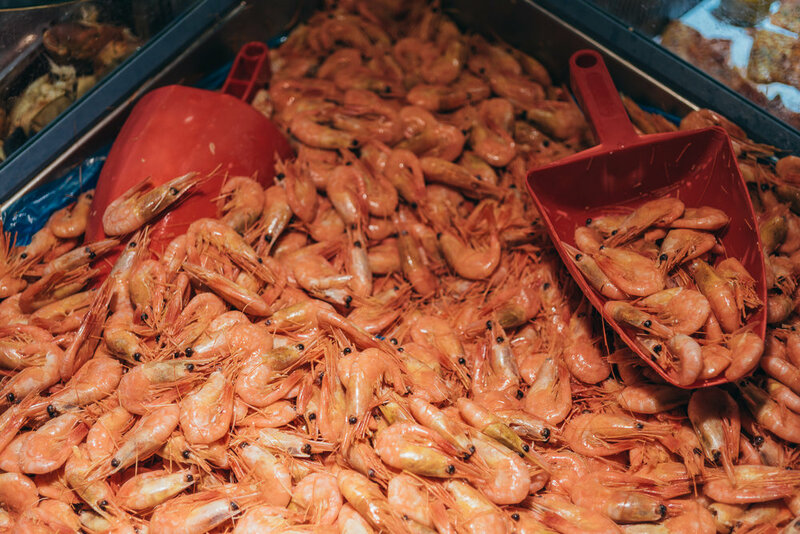 The well-known Bergen Fish Market is next to the Tourist Information Center and consists of both a covered area to purchase fresh seafood/fruits/vegetables as well as an uncovered part. You can also dine at any of the several restaurants there and enjoy both the fresh food and terrific views that the dock affords you. We were able to try some of the fresh seafood there and it was delicious! 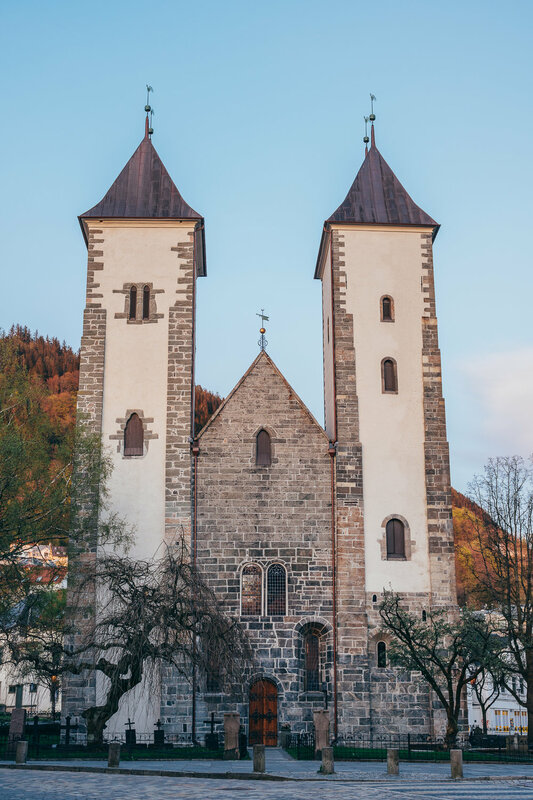 This church is located behind the Bergen Museum and is the oldest building that stands in Bergen, having been originally built in the 12th century (and then reconstructed over the years). Unfortunately it wasn’t open when we visited, but we consider it worth your time given that it is the oldest building in the city! * Important note: Double-check that the attractions you’re planning on visiting are open when you visit! Some attractions are only open during the “high season,” which is typically mid-to-late May to end of August. This isn’t the case for all attractions, as it didn’t limit us too much - but it is worth noting. One More Reason to Visit Bergen! Best smoked salmon ever, from Bergen's fish market! Trekroneren is a hot dog stand that offers a variety of sausage made with different kind of meats and condiments. We loved it! Skillingsboller, the Norwegian version of the cinnamon roll. You can find it at almost any bakery/coffee shop, convenience store or supermarket. They're to die for! Traditional Norwegian waffles with brown cheese and raspberry jam. The location that serves it is just as unique: Bar Barista. Our thanks and wholehearted gratitude goes out to Visit Bergen for hosting us in this beautiful town!